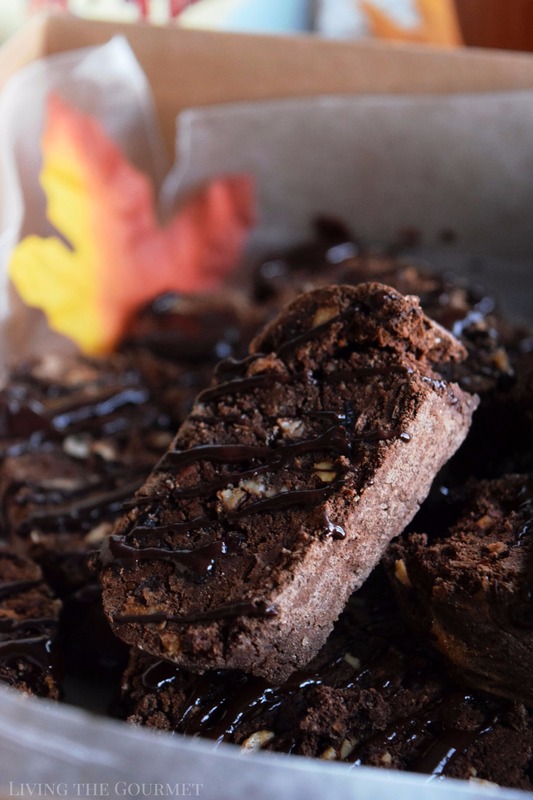 These chocolate biscotti are loaded with almonds and cranberries and rich in chocolatey goodness. 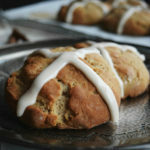 The best part, however, may be that they are completely gluten-free! This is a sponsored post written by me on behalf of Bob’s Red Mill. On a recent trip to a local pork store I’ve been frequenting on and off since my son was in a stroller, I was ‘treated’ to a rather disappointing surprise. To set the scene, it’s a faux-quaint place, the sort of “New York Italian” theme you see in mobster movies or cop shows. Walking in, you’re greeted to the quintessential brass trimmed cases, a purposefully distressed tile and wood floor that creaks beneath your steps, and a few strategically placed religious murals, with the entire scene laced in an air carrying antique Italian tunes perforated by the aroma of dried pork, aged cheese, and just a touch of butcher’s wood or sawdust. It was a candid reveal on his part, but one that I can sadly relate to. You see, my brother had recently shared exactly the same sentiment with my son – albeit in a much different context. The last time I had my brother over, he offered my son the antique typewriter that our father had worked on most of his life. It’s a real-time capsule of a piece, all metal and in near pristine condition, like something you might see in a Bogart movie. After that, my brother started to tell him about ‘old times,’ waxing nostalgic about all of the big meals and noise that characterized our lives growing up, and became misty-eyed describing how ‘quiet’ everything is these days. He then went on to describe how the bakery items back then “just tasted better,” and how our grandfather would – you guessed it – dip his biscotti cookies in wine. “You don’t see people do that anymore,” my brother mused. “Ah well, Mike, no offense but you can’t appreciate what I’m talking about, you need to have lived it,” he concluded. 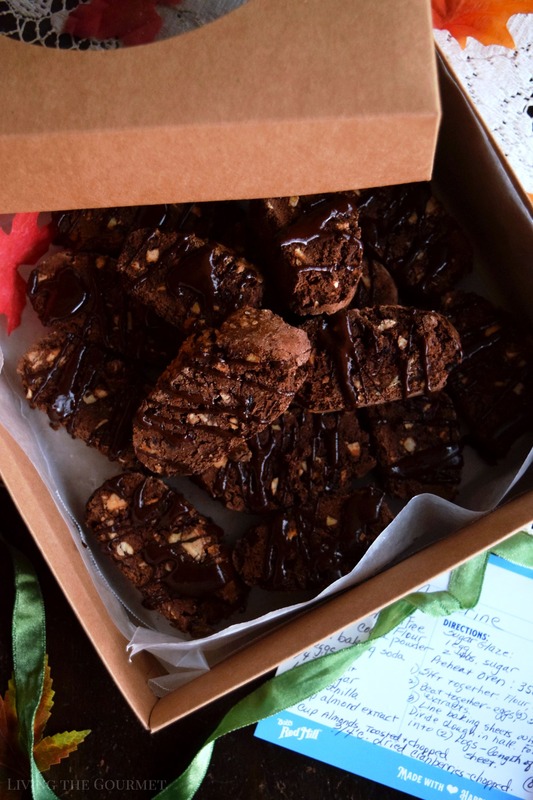 If you hadn’t guessed, thanks to my last-minute stop at the pork store, I knew exactly what I would be bringing my brother – homemade biscotti. 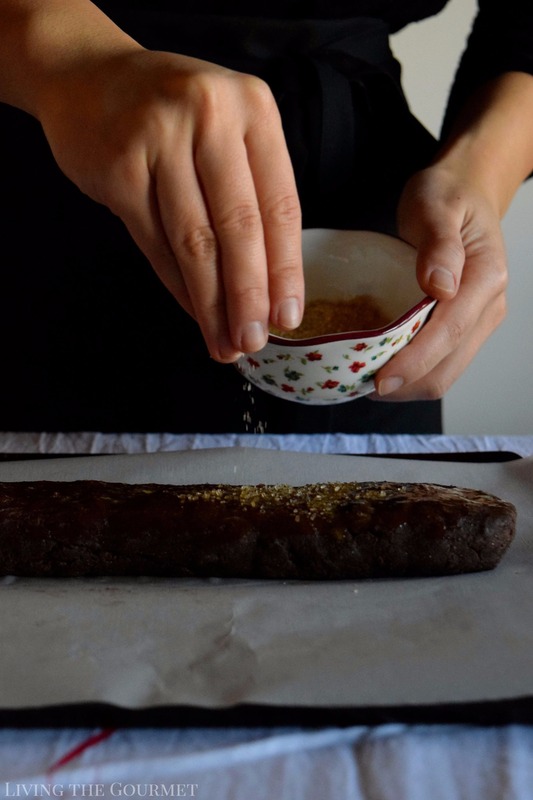 Naturally, I would take this as my opportunity to make the sort of chocolate biscotti that we would have eaten growing up. In other words, as I’ve spoken about before here on Living the Gourmet, this was basically nostalgia and wellbeing through baking put to action. Yes, I live what I preach. There was just one caveat – they would, of course, need to be gluten free for my niece. To start things off, we begin by sifting together the flour, cocoa powder, baking soda, and salt listed below. 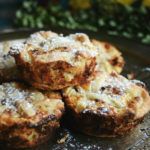 For this recipe, to keep it gluten-free and delicious, I use Bob’s Red Mill Gluten Free 1-to-1 Baking Flour, which I use for a couple reasons, the first being that it’s perfectly formulated for baking, assuring a delicious taste and perfect texture. This means that no additional specialization or customized recipes are necessary when using this flour – which takes of the biggest hurdle when baking gluten-free. 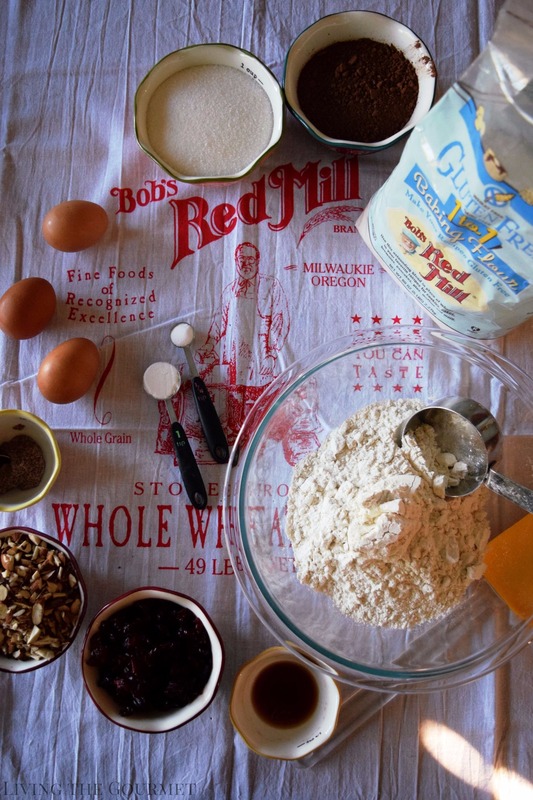 That aside, Bob’s Red Mill products are simply of the highest quality, which really makes any baked goods produced with them truly shine. Then, in a separate bowl, beat together the eggs, sugar, vanilla, and almond extract, and then slowly stir this mixture into the dry ingredients. Then stir in the chopped nuts and dried cranberries. 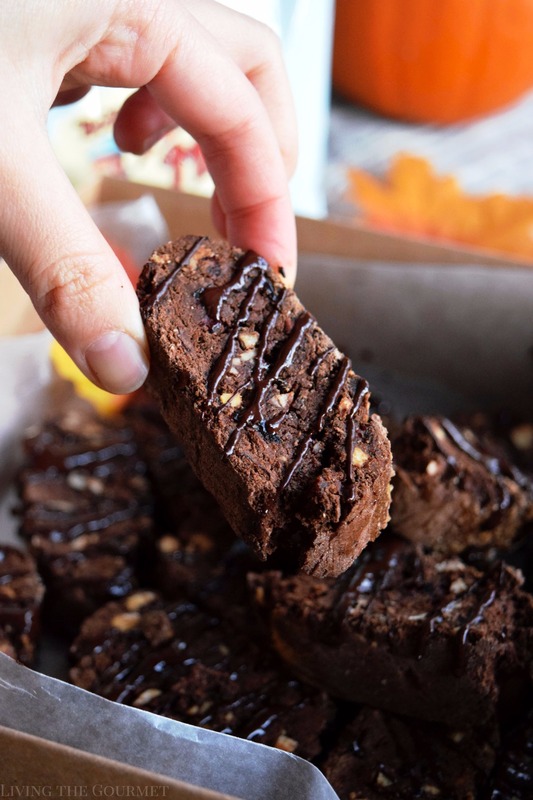 Form the resulting batter into logs and place them on baking sheets lined with parchment paper and bake for about twenty-five minutes until they are slightly firm. Then cut the logs into half-inch thick biscotti as shown below. 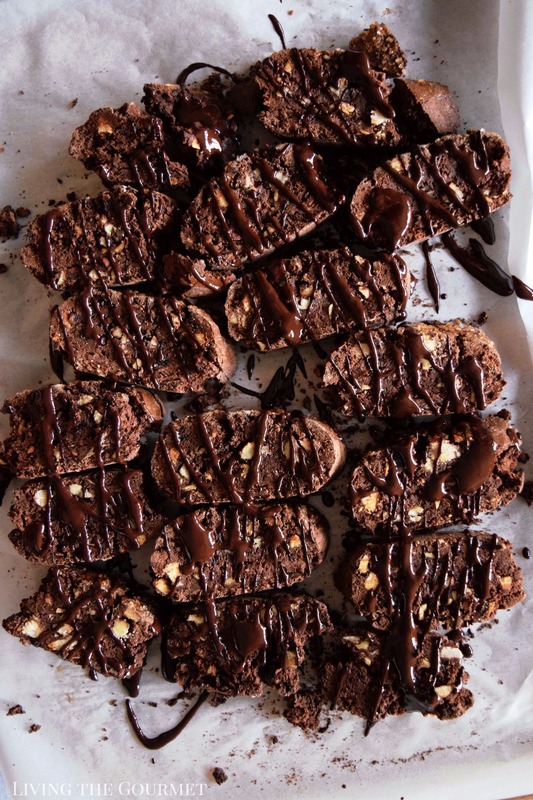 Then place the biscotti on the baking sheets and place them back in the oven for twenty to twenty-five minutes. In a small pot, combine 1 part flax seed with 2 parts water. Bring the mixture to a simmer until thickened like gelatin. Remove from heat and transfer to a glass bowl. Allow to cool. 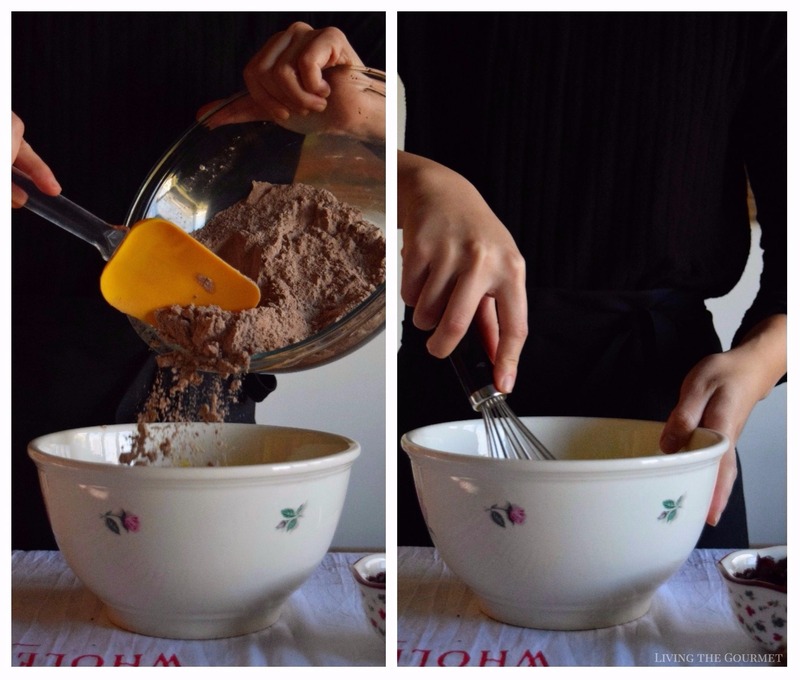 In a large bowl, sift together the flour coco powder, baking soda and salt. In a smaller bowl beat together the 3 eggs, sugar, flax seed mixture vanilla extract and almond extract. Gradually stir the wet ingredients into the dry ingredients, then stir in the nuts and chopped dried cranberries. 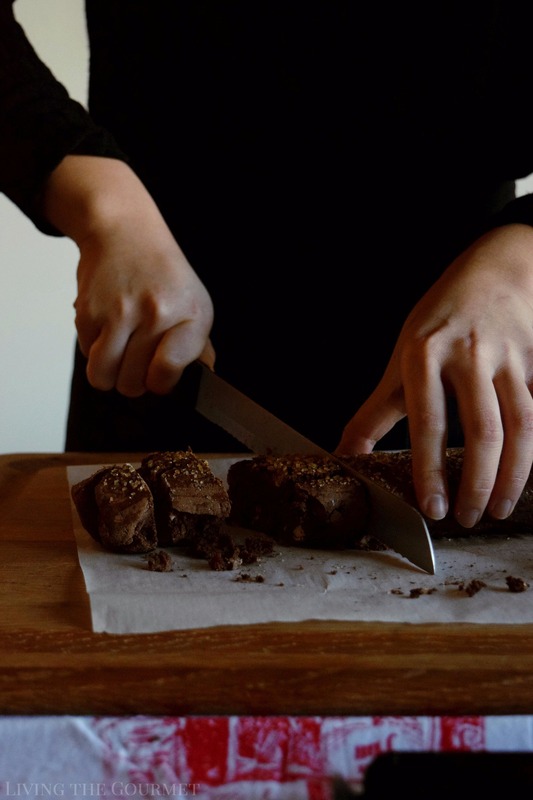 Line the baking with parchment paper and place the logs on the lined baking pan. Bake 20 minutes until slightly firm, then let cool about 10 minutes before slicing on a diagonal into ½ inch thick biscotti. Place slices side down on the baking sheet and place back in oven for 20 – 25 minutes. Let cool. Drizzle with melted chocolate if desired. Can be stored in an air-tight container for up to two weeks. Once they’ve finished cooking, let them cool. These are sturdy cookies and can keep for about a week, more if you’ve brought to a truly firm crisp – provided you store them airtight. For today’s purposes, I set them neatly in the Bob’s Red Mill gift box, and just like that, I had the perfect season’s greetings for my brother and his family. 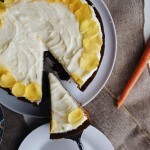 Save this for the holiday baking! They look fantastic, Catherine. 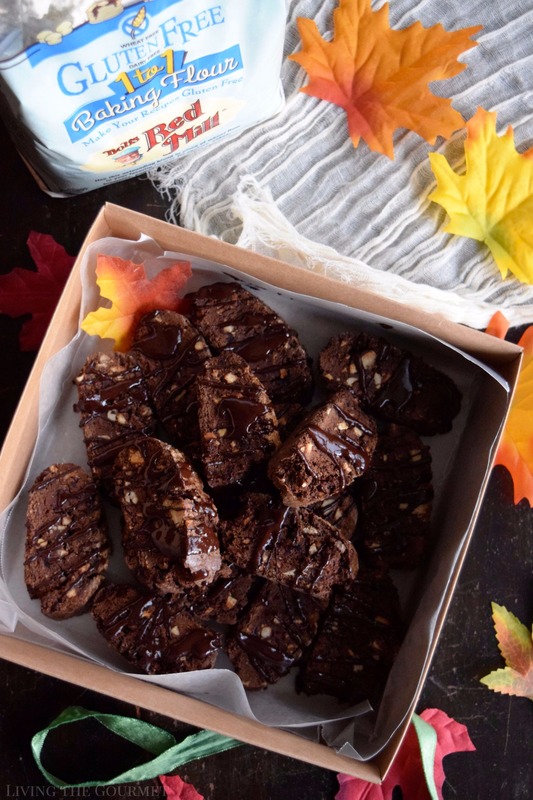 I absolutely love biscotti and your version with chocolate and cranberries sounds just divine! I can not wait to try them! 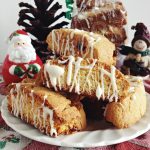 These biscotti look so scrumptious! 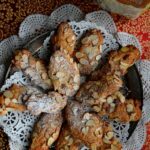 I love eating biscotti for brunch, of course with a cup of espresso.